laundry Archives | How Do You Do It? While I was pregnant with the twins, I did a lot of reading. I didn’t read too much on multiple pregnancy itself, as it scared the you-know-what out of me! Tons of negative and downright scary information. Instead, I focused mostly on the challenges I would face once the babies were born. I read about breastfeeding, feeding schedules, sleep training — all the tough stuff. Although I would never sit here and tell you I was prepared for what was to come (because who the hell could be? ), I will say that I had a vague notion of my impending challenges. However, there was one topic that was woefully overlooked and/or underdiscussed in all of the books, blogs, and newsletters that I got my pregnant paws on. The L Word. Think about it for a minute, ladies. You all know what I am talking about. Holy @#*&! Why did no one discuss this, like… ever? Why did no one advise me to buy a house with a built-in laundry shoot?? Because, let me tell you: I would have seriously considered it. To any of you out there who have a laundry shoot, please don’t brag. I am ridiculously jealous. Over the past two years, I have stepped over (and on) dirty clothes and hurdled baskets full of clean laundry like an Olympian. 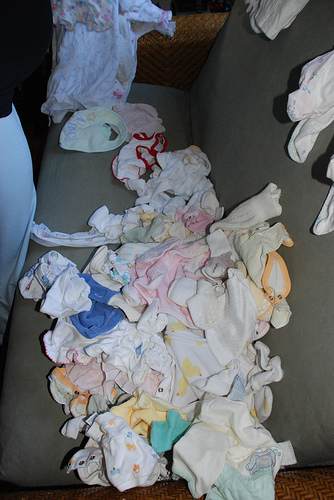 Yes, no one so much as casually mentioned that two babies equals at least double the laundry than a singleton. And neither one of my girls had reflux. Oh, you poor, poor souls who experienced reflux laundry. There is a spot already reserved for you in Heaven. 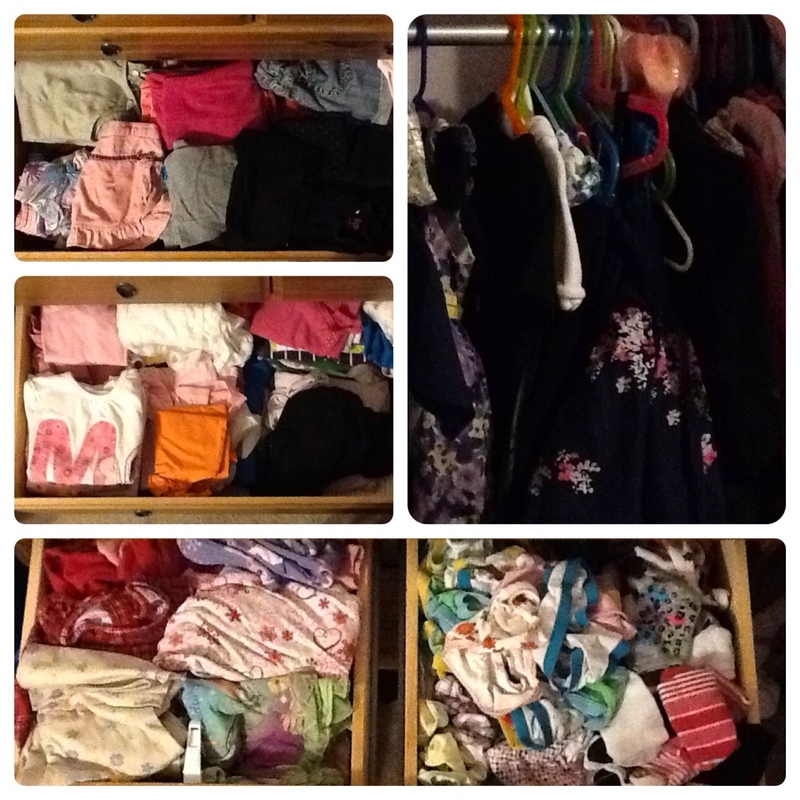 I think the sudden barrage of laundry in my home was especially surprising and/or challenging to me for two reasons: 1) Prior to having twins, I probably did the laundry once every two weeks, or as long as I could possibly scrape by without buying new underwear (and I openly admit to doing so on more than one occasion! ); and, 2) I have never EVER in my life spent so much time and energy on the act of doing laundry. 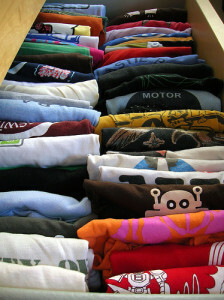 Before twins, I would just toss a bunch of stuff (colors, whites, who cares?) into the machine and call it good. Now, I pre-treat every.damn.thing with my beloved Oxiclean spray AND I add a heaping cup of the Oxiclean liquid to every load I wash. That stuff is magic, I tell you. Magic. I mean, a typical outfit in our house is stained beyond all recognition by 5pm, assuming it is dark enough to mask the stains from lunchtime. Since leaving my job at the end of June, I have become a lot more focused on laundry and on establishing a good system so as not to have clothes strewn about the house waiting for me to either pre-treat and wash or fold and put away. You see, I have no problem tossing the clothes in the washing machine and/or transferring them to the dryer; it’s the before and after parts that really get my goat. Truth be told, it has been much easier to keep up with the laundry now that I am no longer working outside the home. But, still, my system could use some improving to be sure. 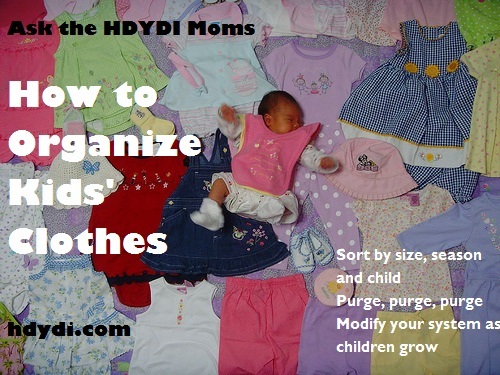 So, how do you handle laundry for multiples? Any ideas or advice from those of you who aren’t hurdling laundry baskets on a daily basis? What’s your secret? It’s amazing, isn’t it? Amazing that two teeny, tiny babies can create such a huge pile of laundry, in such a short period of time. Key to your survival as a new mom of multiples, whether you work outside of the house or not, is keeping up. 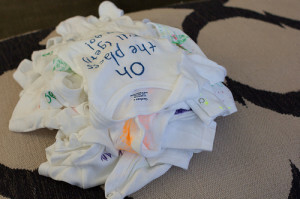 Not only do you not want to run out of burp cloths (holy crap, the pile my kids were going through every day when they were six months old…) and shirts, but you don’t want the laundry monster to take over every room in the house. Put in a load (nearly) every day. Many of us have a routine such that we throw in the load just after the kids go to bed, throw it in the dryer before we eat dinner, and fold/sort while watching trashy TV before bed. It may not be the most exciting way to spend an evening, but it’s not like you were going out for happy hour, anyways. If you do a little bit almost every day, then you won’t be hit with 10 loads to do on a Sunday. Share the love. If (like me) you go to bed earlier than your night-owl husband, let him put in a load. If you have a babysitter, ask her to fold the baby things while they’re napping. If you have cleaning ladies, spend the extra couple of bucks and have them change your sheets and throw the old ones in the wash before they leave. Laundry is one of those constant, ever-present things that is easy to get burned out on if you have to do it all the time. Have other people do some, and at least you won’t feel like you’re standing in front of the dryer 24/7. Don’t over-sort. Get a “free & clear” style detergent, and use it for everyone’s laundry. Don’t bother with that specialty baby stuff. 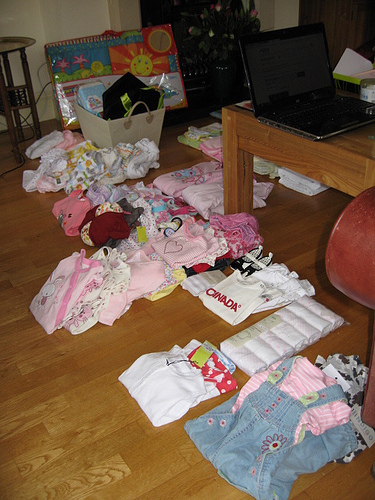 That way, if there’s half a load of baby stuff and half a load of adult stuff that needs washing, there’s no reason not to combine them. 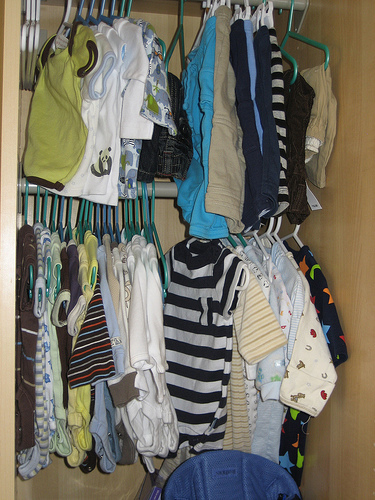 Most baby stuff is fairly sturdy cotton blends, so don’t make extra work by separating darks and lights (unless you have a piece that you think is a major color-stain risk). Just throw it all in on “warm” and call it a day. Keep multiple laundry baskets. If you don’t do this already, we can’t recommend it highly enough. 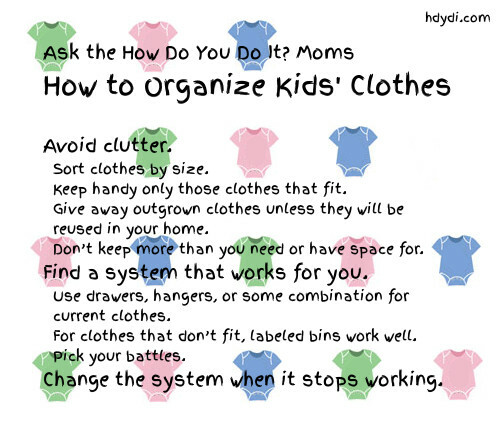 One for mom & dad, one in the kids’ room, and if you have another frequent laundry-producing area (next to the pack & play in the den, in my house), put one there too. A single, over-filled laundry basket (which will be overfull before you even finish the load you just dumped out of it) is somehow more overwhelming than 2-4 baskets around the house. Maybe it makes you feel like you have a choice as to which one you do next? I don’t know, but it works. 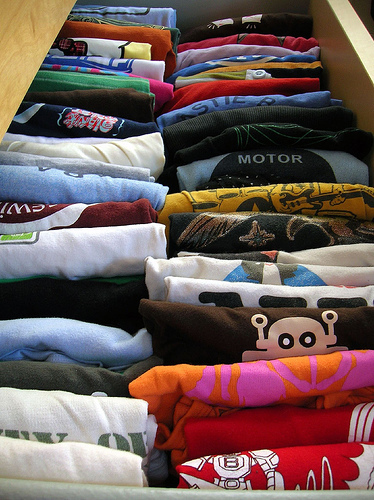 Some also find this helpful when it comes to folding and putting away – one load is all linen closet stuff, one is all going in the master bedroom, etc. Waste not. There’s only so much we can do about all of the laundry detergent we use, but if you’re throwing in a smaller-sized load, at least make sure you adjust detergent and water levels accordingly. Also, if you’re using dryer sheets (they do make “free & clear” style ones), use the tip I got from my mom: half a sheet is plenty for the whole load. Tear ’em in half, and the box will last twice as long. Re-wear. 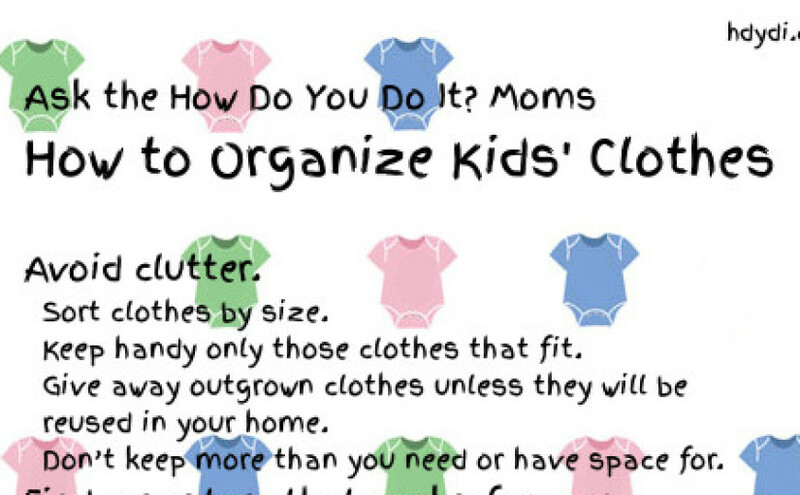 This depends entirely on your kids and their mess level. But believe me, if your kids re-wear a pair of pants that managed to avoid spitup and pureed sweet potatoes on the first wearing, we certainly won’t judge. More power to ya. Other common multiple-usage possibilities: pajamas, towels, sleep sacks, sometimes even socks for the pre-mobile set. Let older kids help. 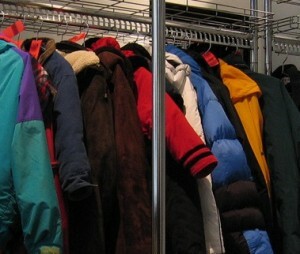 If you’ve got elementary-school kids, let them fold their own laundry! (Under supervision, of course.) 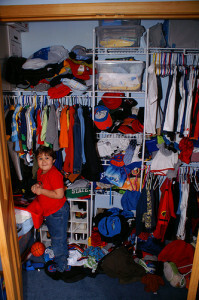 Kids as young as 7 can be taught to do their own laundry, I swear. If you’re using any kind of positive points system in your house, kids can get points for laundry (and other chores) to be used toward favorite privileges. Laundry is one of those never-ending chores, especially when there are two (or more) young children and babies involved. No sooner do you think you finally have everything clean, than you discover a stray pair of socks or last night’s pajamas. Sigh. But if you keep chipping away, hopefully it won’t get to the point where you have to run in fear of the monster living in your laundry baskets. Any comments from the peanut gallery? Your suggestions for keeping up with the laundry and keeping your sanity?